What makes the green grass of home? It is a question that we have been asking quite a lot recently, but have you made the most of your garden this summer? If you haven’t yet, fear not, there is definitely still time. You just have to make sure that your garden is in order first. Is it time to invest in a brand new lawn? If so, why not try artificial grass for a change? Nothing beats getting out in the garden and taking time out for some well-deserved rest and relaxation. When it is in its prime, your garden can be a place of tranquillity, your own little haven, a private piece of paradise. It offers you some sanctuary away from the stresses of everyday modern life. With this in mind, you want to make sure that it looks the part. Ensuring that your garden is well maintained doesn’t necessarily have to be a massive task. This is of course where one of our quality and stylish artificial grass turf becomes a godsend. You won’t need to mow it or cut it, meaning that the time saved can be used to, well, relax. Perfect! If we have learnt anything at all from the summer this year, it is that it has shown no signs of leaving us just yet. There is still plenty of time to ensure that you can get the most out of that garden space. Additionally, our artificial grass looks great the whole year around, so there is no time like the present to invest in a new lawn. 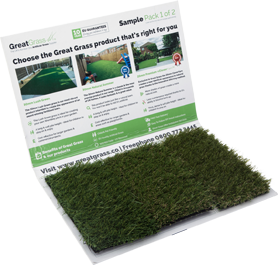 So if you want to ensure that your garden always looks in the best shape, and you have been the lookout for great artificial grass, look no further than us here at Great Grass. It is safe to say that we know a thing or two when it comes to providing the best kinds of artificial grass to our customers. We have a product suitable for any home, and even an artificial grass product suitable for pet owners. Get in touch with us today on 0161 685 0071 for more information, or visit us online for all of our available products.